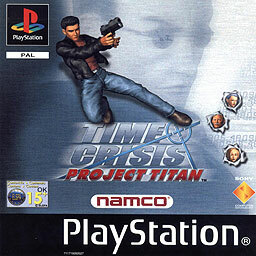 So, Time Crisis 1 wasn’t great and I went into Project Titan expecting to hate it, as it was a spin off, and I hate everything. Somehow though, with Project Titan, they have made a fairly decent game! To be honest, I’m in shock, and so should you. 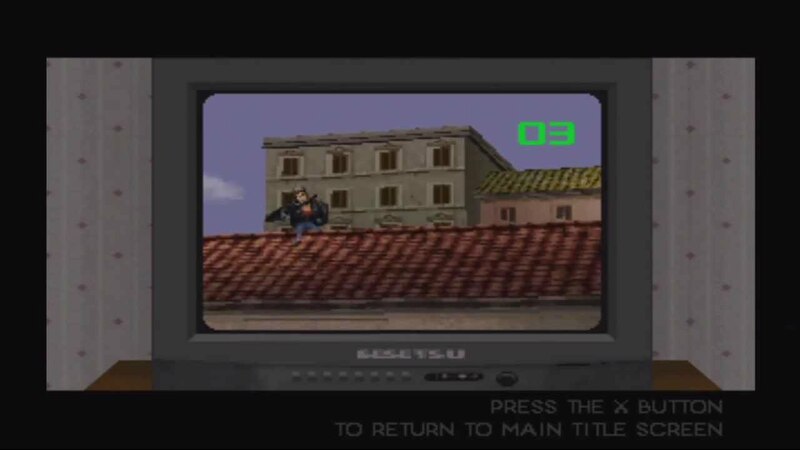 With all light gun games you point a gun at a screen and make things die. 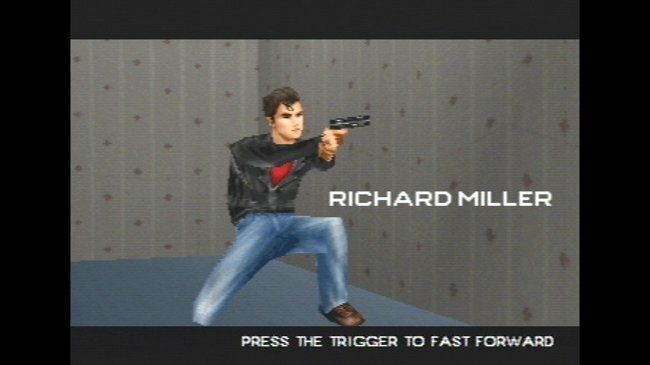 Like Time Crisis, this is on-rails, so you shoot at what the game wants you to shoot at and avoid people shooting at you. It is simple, and improves on the formula of TC1. 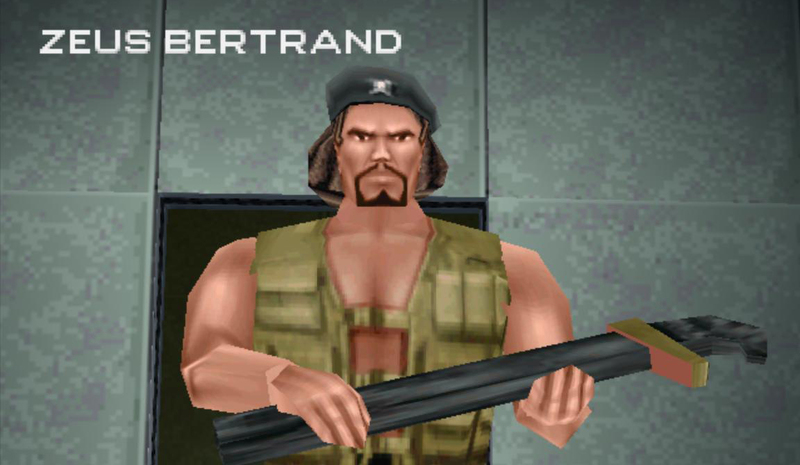 However, Project Titan is a MUCH better game than TC1. There is just more going on. The first level is bigger than the first game. In TC1 there were about 300 guys in total to shoot. In PT there are around 1500, so it ups the anti, and just generally improves on the formula. Well, it is the same. Just more of it. They have added a combo counter which tells you how many bad guys you have hit without missing, and it also shows you where you hit them. Sadly, this has no effect on the game. You don’t get more points for headshots, one hit is still death to the enemy, it doesn’t save top combo. So while it is a nice new feature, it doesn’t really add anything substantial. The other newish addition are environmental hazards. There are a couple in TC1, but in Project Titan you get a lot more, it will be something like you needing to duck under something to avoid taking damage, but it adds an extra dimension to gameplay. The biggest issue I had in TC1 was that enemies could daisy chain you for multiple hits, it was a big problem on some areas. In Project Titan, this issue doesn’t seem to exist. In TC1 a leaf was bullet proof, so if a guy was stood behind a bush, you had to shoot through the gaps. In Project Titan, again this has kind of been resolved, you can shoot through gaps in fences more efficiently, and they pretty much removed plants to solve this issue. Finally, the sound effect for running is horribly out of sync with the animation. It isn’t a big thing, but you do notice it, and it is borderline comical. Project Titan is much better than I thought it’d be, it is let down by the simplicity of the genre. It is worth playing though, for anyone that likes light gun games. Alright, I definitely want to get hold of this game now. I actually liked the original quite a bit (although nowhere near as much as TC2 and 3) but I passed on this one assuming it would be overly similar to the original. Also at the time I’d just been on a massive lightgun binge. But now I’m ready for more and this sounds great. It is so much more game than TC1. Again, this and TC were a few of the first gun games I played after a years. I probably need to up TC1s score as now I have played a lot more it isn’t half as bad as I thought. I have 2 and 3, but waiting for a mate to come round so we can try those 2 player. You’ve not played TC2 and 3?! They’re both amazing games, albeit very different to one another. The only downside to 3 really was that they took out singlescreen multiplayer, although I understand the reason why. I played TC2 in arcades loads when it was released. And I have subsequently played 3 in an arcade, but never the home port. About 6 months ago I bought about 30 light gun games across all the platforms I have, and am slowly working through them. I have been saving some of the ones I think are good like TC2. Played Res Evil Dead Aim and was amazed how good a game it is. Got the other GUN Survivor games, but hanging fire on those. But I try to mix it up with what goes on the site, and not be too predicatble with what goes up, so I never do loads of the same thing at once.